The story goes that Fridianus was an earlyIrish pilgrim who became bishop of Lucca and then a saint, and made a big impression in Florence by crossing the flooded river Arno at this point, leaving his name to the historic Oltrarno neighbourhood. But before this church was San Frediano, it was the church of Santa Maria degli Angeli, linked to the Carmelite convent where the noble nun Maria Maddalena dei Pazzi (1566-1607) had her ecstatic visions of divine approval for church reform. Canonized in 1669, her body was moved to the church that took her name, Santa Maria Maddalena dei Pazzi. When Cistercian monks (the 'Cestello' in its name refers to them) took over the church in 1628, they had Gherardo Silvani rebuild it, turning its back on Borgo San Frediano. Its big dome and unfinished façade are one of the landmarks along Florence's left bank. 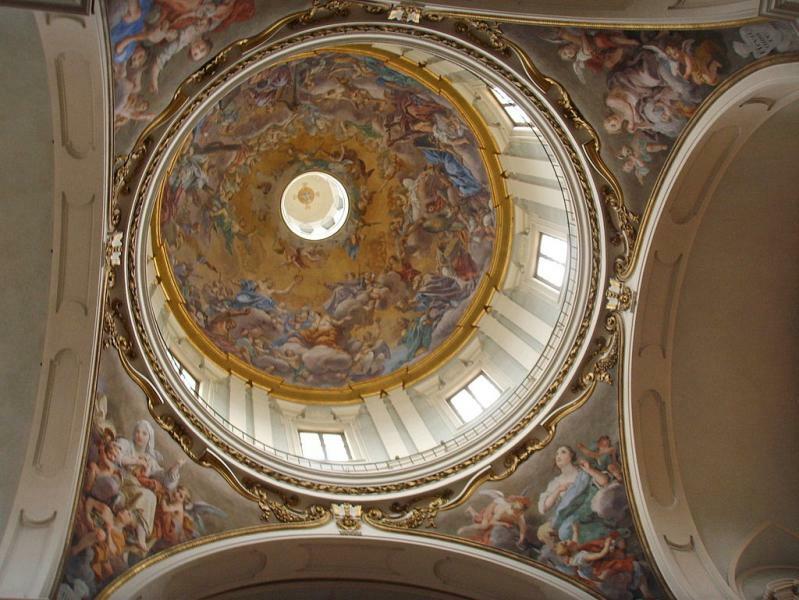 Inside are lavish Baroque frescoes, notably by Anton Domenico Gabbiani who is also behind the pretty dome frescoes on the Glory of the Magdalen and Virtue. The transept has two paintings from the earlier church by Jacopo del Sellaio. Hours Tues-Sat 8.30am-11.30am, Mon-Sat 5-6pm.